Kathy thought her husband deposited a $1,500 check earlier in the day. So she bought $200 worth of groceries and unknowingly sent her account into the red. Her bank “covered” the transaction with overdraft protection, but then they charged her a $35 fee. Overdraft protection sounds like a good thing, but it’s actually a high-interest loan. And banks are making some serious money from the practice. 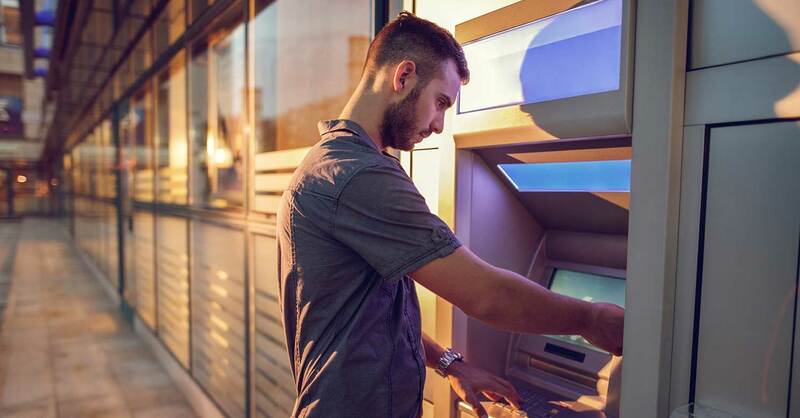 Last year alone, the nation’s biggest banks earned more than $11 billion in overdraft and nonsufficient funds fees, according to the Consumer Financial Protection Bureau (CFPB). When you add up these poorly timed grocery runs (or online orders or coffee breaks), Americans are paying out billions to banks each year! So what can you do about it? Plenty. Create your budget. Don’t start swiping your debit card until you make your budget. Do it before the month begins! This isn’t a “rough idea” of what you’ll need for the month. This is your exact income and expected expenses for the days and weeks ahead. Track your expenses. After you set an amount for each of your budget categories, track your spending as you go. If you have $100 budgeted for restaurants and you order a pizza, go ahead and enter that $25 transaction into your EveryDollar budget. Try EveryDollar Plus for even easier tracking—it uploads your bank transactions for you. All you have to do is drag and drop! Set a buffer of $100. Put a small amount of money in your budget that serves only to cushion your bank account. Don’t use it to splurge on shoes or treat yourself to fancy dinner. Keep it for a higher-than-expected electric bill or doctor’s office copay. Think of it as your own personal overdraft protection. Spread out your automatic payments. Have you noticed that your account tends to dip lower than you’d like right before your paycheck deposits? That’s probably when you’re most at risk for overdrafts. Try scheduling your larger payments (like your mortgage or health insurance) evenly across paychecks so you can eliminate super-low balances. Sign up for balance alerts. Some banks allow you to set up notifications when your account is running too low. You can even set the amount. This is a great way to stop the fees before they start! Switch to overdraft transfer protection. If you have a savings account with your bank, try the overdraft transfer option. Instead of the bank covering your transaction, they can charge a smaller fee (usually $10) to transfer money from your other account. Find a bank that doesn’t have overdraft fees. They do exist! But you’ll likely have tradeoffs like daily withdrawal limits, no brick-and-mortar locations, or no paper checks. Just be aware of what you’re getting versus what you’re missing out on. Opt out of overdraft protection altogether. You can always say no to overdraft protection. That way, If you’re at the grocery and don’t have enough in your account, the bank will deny your purchase at no cost to you. (If you bounce a check, however, you could still land a nonsufficient funds fee.) With a debit card, you’ll know immediately that your account is empty and you need to stop spending! Overdraft fees aren’t cool, so get rid of them with a little pre-planning. Set a budget, track your expenses, create low-account alerts, and understand the overdraft rules at your bank. It’s your money—keep more of it. Keep more of your money with a free EveryDollar budget. You tell your money what to do—and it only takes 10 minutes to set up!